London,UK. Thursday 11th April 2018 - The British & Irish Boxing Authority (BIBA) today announced the launch of the BIBA Health & Safety Executive website - www.boxbiba.co.uk - that not only covers Health & Safety advice, resources and information for boxers, but also features Mental Health awareness information and resources. 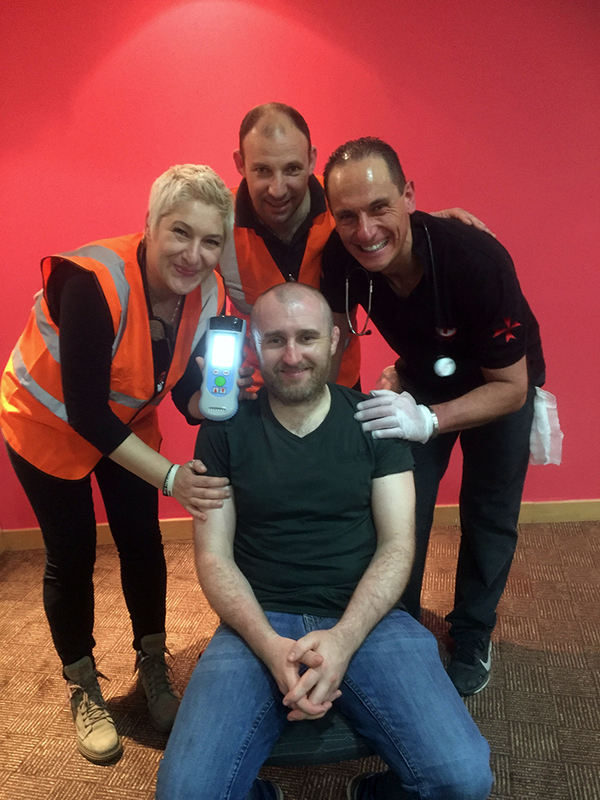 BIBA Medical Advisory Committee's Dr Mark Xuereb (R) with medical team members Tea Cekic and Noel Buhagiar following scanning of Marty Kayes with Infra-Scanner post fight in 2017. "Back in February we signed up to the Mental Health Charter for Sport and Recreation and as part of our action plan we decided to create a specific website to raise Mental Health awareness within the sport. The British & Irish Boxing Authority (BIBA) Health & Safety Executive website - www.boxbiba.co.uk - went live today and will be updated regularly to provide boxers with an unequalled information and resources reference point.